Rent a car in Lithuania,Vilnius car rental company! 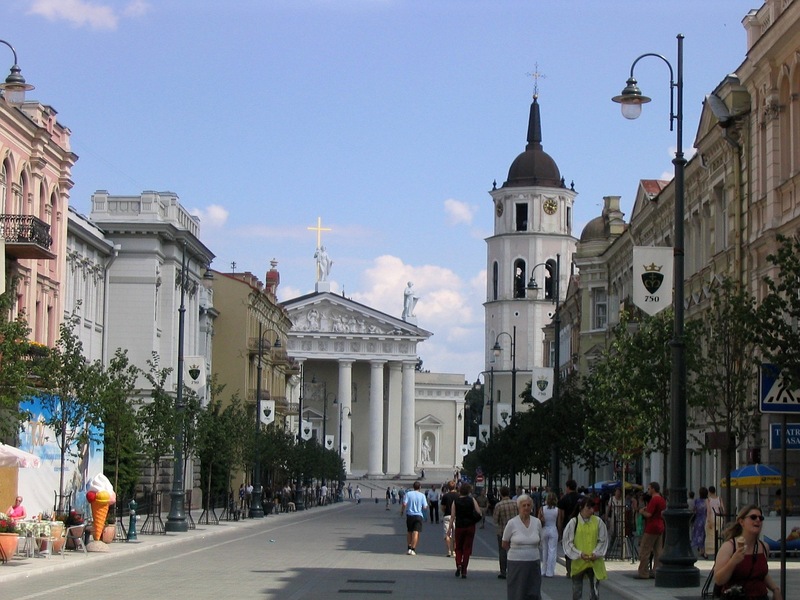 Lithuanian capital Vilnius is a tourist attraction itself and has been included in the UNESCO heritage. The Old Town consists of romantic streets, stretching into the distance and divergent in the form of fan. Town Hall, Old Castle, the area of Gediminas, the Bishop’s Palace, the Palace-Vyarkaysky attractions in Vilnius does not count! The city is decorated with many churches: the church of St.. Michael, Friday Church, Church of St. Mar, and many others. There are countless number of art galleries and museums. Uzupis district-is a favorite artists place: painters, musicians and poets and is considered as «Vilnius Montmartre». Visit the Park of Europe, with the paintings of contemporary artists from different countries. Original cafes and restaurants with distinctive local and European cuisine are waiting for their visitors. Don’t miss Lithuania old capital – Trakay. There are a lot of beautiful lakes around the city. The biggest on e is Galve. Trakay Castle is a mandatory program for sightseeing. The Gothis Castle was founded by Duke Gediminas in 14th century. As well you could take a trip on Yacht at the lake. Kaunas will open to the tourists mysteries of devils museum, Churlenis gallery, Pazhaislisky Monastery, Perkunas House, Prince Massalsky Palace of Renaissance period, Lausvess Alley (1.5 km). There is a lot of souvenir shops, malls, cafes and restaurants. Kaunas Castle – city’s symbol was built in the 13th century. Round the Castle are picturesque river Neman’s views. Kaunas is also known for its nightlife. In former times Klaipeda was the capital of Prussia. So the German influence is clearly expressed. The whole part of the city is built in the style of fachtwerk. Be sure to visit the Maritime Museum, Watches museum. The city hosts many international festivals. Tourists appreciates the spacious beaches of Giruliai and Melnrazhe. Klaipeda is the year-round Baltic an ice-free port. Northern city Siauliai is Lithuania’s important the cultural center. There is the cathedral of the Resurrection of the Holy Apostles Peter and Paul, built in the XVII century. City’s symbol is a statue of rooster singing at the town Square and greets guests with the worlds: welcome to Siauliai in different languages. The most popular sculpture composition is Sagittarius or Golden Boy, which consists of a bronze a boy with bow and arrows statue, 4 m high, sitting on the ball. This statue is on the top of 18 meters Stella surrounded by green lawn. Two lakes district Talksha and Ginkuna are popular walking places. State reserve Kamanos occupies area of several thousand hectares. Rich flora and fauna are represented by many endemic sorts and kinds. National cuisine main product is potatoes, used in countless dishes. Don’t forget to taste famous Lithuanian dumplings-zeppelin and smoked eels, a proud among local dishes. After a lunch in a cozy family-type restaurant –you will fill the local gusto! It’s no sense to repeat and prolong our tale about Lithuania – better come yourself, take a car from company Naniko and enjoy your reliable auto trip according your personal leisure!